Researched & Written by Jen Ratliff. The Grimshawe House over went many renovations and additions during the 20th century and today greatly differs in appearance from the time of the Peabody’s residence. The original portico is now housed on the back exterior of the Phillip's Library on nearby Essex Street. The home is privately owned and there are currently no plans to restore it. One of the most dramatic examples of raucous Christmas revelry happened in Salem Village on Christmas Day, 1679 when four youths barged into the home of John Rowden and started singing loudly before the fire. After a few off-key tunes, they demanded compensation in the form of spirits: perry, in particular, as Rowden maintained a profitable pear orchard and was known to make a pleasing pear cider. According to the record of the subsequent trial: it was Christmas Day at night and they came to be merry and to drink perry, which was not to be had anywhere else but here, and perry they would have before they went”.Rowden and his wife were not pleased with the songs, or the demands, so they sent the young men away, but they quickly returned with a scrap of lead which they tried to pass off as coin to pay for their perry. The Rowdens rebuffed them again, and then all hell broke loose. According to Mr. Rowden’s testimony, The threw stones, bones, and other things against the house. They beat down much of the daubing in several places and continued to throw stones for an hour and a half with little intermission. They also broke down about a pole and a half of fence, being stone wall, and a cellar, without the house, distant about four or five rods, was broken open through the door, and five or six pecks of apples were stolen.” This was a case of Christmas wassailing gone bad, very bad, recounted by Stephen Nissenbaum in his wonderful book The Battle for Christmas as “The Salem Wassail” and a great example of why Puritans on both side of the Atlantic abhorred Christmas. Their power in both Parliament and the Massachusetts Bay Colony resulted in the great Christmas ban of the mid-17th century: from 1651 to 1660 in England and 1659 to 1681 in Massachusetts. THE VINDICATION OF CHRISTMAS, 1652, LAMENTING THE PROHIBITION OF ITS “KEEPING” IN ENGLAND DURING THE INTERREGNUM. There were three major reasons why the Puritans hated Christmas. Their insistence on scriptural authority cast doubt on its date, as nowhere in the Bible does it say that the Nativity occurred on December 25th. They could only conclude, very reasonably, that some ancient winter festival, the Roman Saturnalia or the Winter Solstice, had determined this date, and that the Christian Church had merely adopted and assimilated it: consequently Christmas was perceived as a pagan holiday with a Christian gloss. Given their mandate to purify the Church of all its non-scriptural “traditions” and Popish trappings, it became a conspicuous target. The third reason was primarily social: the Christmas that the Puritans targeted was “Old Christmas”, or “Merry Christmas”, which they saw principally as a prolonged season–Christmastide, which could stretch beyond the twelve days of Christmas to encompass all of December and January–of disorder, misrule, and excess. In Cotton Mather’s words, the “Feast of Christ’s Nativity is spend in Reveling, Dicing, Carding, Masking, and in all Licentious Liberty….by Mad Mirth, by long eating, by hard Drinking, by lewd Gaming, by rude Reveling…..”. By the time Matherwrote this, “Old Christmas” had returned to England with the Restoration of the Stuart monarchy. Salem seems a little behind the times in 1679 when those young men wassailed the Rowdens so crudely; indeed in that same year the government of Charles II begin requesting that the Massachusetts General Court repeal its anti-Christmas law. If the Rowden revelers had been a bit less rude (and much better singers) one wonders if they would have been let off as mere “merry boys of Christmas”, the subjects of a popular British ballad who cast off all constraints in their keeping of Christmas: these Holidays we’l briskly drink, all mirth we will devise, No Treason we will speak or think, then bring us brave mine’d Pies: Roast Beef and brave Plum-Porridge, our Loyal hearts to chear: Then prithee make no more ado, but bring us Christmas Beer! Keeping “Old” Christmas and the “Merry Boys of Christmas” broadside woodcut illustrations from 1680s; Christmas Carols return to Old England at about this time, but New England will have to wait a bit longer. 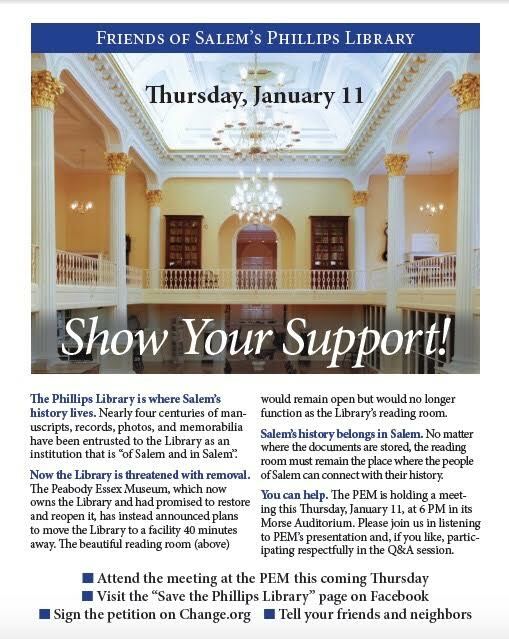 Dedicated to my friends at the Salem Historical Society and Creative Salem, big supporters of history AND revelry. Part II of our Salem Town “Witch Sites” Walking Tour begins in the historic Derby Street neighborhood. The first stop is The House of the Seven Gables at 54 Turner Street. Enter through the Seamans Visitor Center at 115 Derby Street to take a guided tour of the 347-year-old timber-framed mansion, most famous for being the inspiration for Nathaniel Hawthorne’s 1851 novel. The plot of Hawthorne’s story was heavily influenced by the author’s familial connection to “Hanging Judge” John Hathorne, but is the house a real “Witch Site”? Sort of. Built in 1668 by sea merchant John Turner, it is one of the few buildings remaining in downtown Salem that stood during the witchcraft panic of 1692-93. Additionally, the Turner name appears in the court records, but neither as accuser nor accused. In May and again in September of 1692, afflicted girl Mary Warren, maidservant to John and Elizabeth Proctor, testified that the specter of Ann Pudeator was responsible for throwing John Turner II out of a cherry tree, nearly killing him. Take a right onto Derby Street and walk until you are in between…. 54 and 58 Derby Street. Near where you are standing stood the small house that Alice Parker, hanged for witchcraft on September 22, 1692, and her husband, a fisherman, rented from Philip and Mary English. Turn around and backtrack a few steps, then take a right onto English Street. Walk until you reach the intersection of Essex and English Streets. Observe the house at…. Philip English House, courtesy of the Peabody Essex Museum. 11 Essex Street. On the site of this house once stood the home of Philip & Mary English, both accused of witchcraft in 1692. Philip was born Philippe d’Anglois on the Channel Island of Jersey. He immigrated to Salem in 1670 and became one of the most successful merchants in New England. He and his wife Mary, born Mary Hollingsworth, were jailed in Boston, but subsequently managed to flee to New York, returning to Salem in 1693 once the trials had ended. The grand First Period house that stood here was built around 1685, but was devastatingly torn down in 1833. It’s probably my favorite of all of Salem’s lost 17th-century houses. Next, walk down Essex Street toward downtown until you arrive at…. Examination of Mary Parker, courtesy of the Essex County Court Archives. 39 Essex Street. You’ve come to another one of the oldest houses in the Derby Street neighborhood, the William Murray House, built in 1688 (though greatly modified since). Not only did the house stand here in 1692, William Murray himself served as court clerk at several examinations of the accused, and also testified against his neighbor Alice Parker along with notorious witchcraft accuser, Thomas Putnam. Continue on Essex Street and take a right onto Washington Sq. E. Follow the easternmost boundary of Salem Common and then take a left onto Washington Sq. N, following the northernmost boundary. Walk until you are standing across from the first brick mansion after Winter Street. Cross the street at the crosswalk. You’ve reached…. 35 Washington Square North, the site of the home of Ann Pudeator, executed for witchcraft on September 22, 1692. Ann made her living as a nurse, and was hired in 1675 by a wealthy blacksmith named Jacob Pudeator to care for his sick wife, Isabel. After Isabel died, Jacob married Ann, despite their age difference (she was 20 years older than him). When Jacob died in 1682, he left his estate to Ann and her five children from a previous marriage. Needless to say, Ann had already been a subject of suspicion for years. Her home is long gone, but the Federal-era brick mansion that stands in its place is no less historic. It was built for merchant Joseph White Jr., brother-in-law of Judge Joseph Story and nephew/adopted son of Captain Joseph White, who was famously murdered by Richard Crowninshield in 1830. Continue along Washington Square North until you reach number 19 ½, the address of…. Salem Gaol (Jail). Here is where many of the accused and convicted were held. It is also the location from which all of the condemned were led to the “place of Execution.” Not coincidentally, St. Peter Street was known at the time as Prison Lane. A plaque marking the site can be found around the corner at 10 Federal Street. Backtrack down St. Peter Street and take a right onto Church Street. Continue to Washington Street, cross at the crosswalk, and take a left. Stop when you reach 72 Washington Street. Opposite this spot, in the middle of what is now Washington Street stood…. Salem Town House. Constructed between 1677 and 1679 and replaced in 1712, the wooden building with a chimney on either end housed a school for boys on the first floor and a courtroom on the second floor. This courtroom is where the specially appointed Court of Oyer and Terminer held the Salem Witch Trials. Roach, Marilynne K. A Time Traveler’s Maps of the Salem Witchcraft Trials. Watertown: Sassafrass Grove Press, 1991. Roach, Marilynne K. The Salem Witch Trials: A Day-by-Day Chronicle of a Community Under Siege. Lanham: Taylor Trade Publishing, 2004. Baker, Emerson W. A Storm of Witchcraft: The Salem Trials and the American Experience. Oxford: Oxford University Press, 2014. The 2013 Salem Witch Trials Calendar: A Month by Month guide to the tragedy of 1692. Edited by Timothy Kendall. The Salem Witch Trials Documentary Archive. http://salem.lib.virginia.edu/home.html. It’s a common sight in October: a group of tourists taking pictures in front of the statue in the middle of Brown Street. The trope among locals is that tourists mistake the statue of Salem’s founder, Roger Conant, for a witch. At least from what I’ve seen on blogs, most identify the statue correctly, though those who research the subjects of their photos and post a little bit about them online are a self-selecting bunch. A few people cop to assuming the grim figure with a flowing mantle and steep buckled hat is a witch before they read the plaque. We can assume that some percentage of tourists don’t read the plaque and walk away with the idea that the statue represents a witch. To be fair though, the statue stands directly in front of the Salem Witch Museum, drawing easy parallels for the inattentive visitor. But in the statue’s defense, it was there long before the Witch Museum was. More specifically, the statue was put up in 1913 by the Conant Family Association, when the building which became the Witch Museum in 1972 was still a church. The statue was sculpted by Henry Hudson Kitson (1863-1947), an English-born American sculptor whose other best known works are the Founders Statue in Watertown and the Lexington Minuteman. He worked first doing architectural sculpture with his brothers, then studied sculpture in Paris in the 1880s. His wife, Theo Alice Ruggles Kitson (1871-1932), began as his sculpture student and eventually became the first woman admitted to the National Sculpture Society. Her most famous work is The Hiker, a monument to the American soldiers who fought in three wars at the turn of the twentieth century: the Boxer Rebellion, the Philippine-American War, and the Spanish-American War. Copies of The Hiker can be seen in Lynn, Cambridge, Chelsea, and Newburyport. The man in the statue, Roger Conant, was born in England in 1592 as the youngest of eight children. He became a seller of salt, and at 31 left England for the fledgling Plymouth Colony in 1623. He departed Plymouth quickly, the story going that he didn’t like their harsh treatment of dissent, and joined up with a fishing station begun on Cape Ann by Thomas Gardner and the Dorchester Company. When the Dorchester Company pulled funding from the unsuccessful venture, some of the colonists went home, but Roger Conant headed south to Naumkeag (what’s today Salem). Changes came when the Massachusetts Bay Company arrived in 1628 with hot-headed governor John Endicott, but Conant is known today for his diplomacy, forbearance, and good governance. He remained in Salem for the rest of his long life and died in 1679, when Salem had long been established as important Atlantic trading port. Today, his memory is served by the statue erected 102 years ago, and by the tourists who’ve made him a star. “What year was Samuel Gray’s vision?” I call over my shoulder. My friend and colleague Keith, seated across the room, squinted at the screen of our terminally unhurried staffroom computer. “Fourteen years before 1692,” he replied. Keith comes to peer down at the sheet of paper on the table. “It’s a short life,” he says. Although Bridget Bishop was, by the standards of both her age and our own, a decidedly middle-aged woman when she was hanged for witchcraft of June 10, 1692, her life does suddenly seem remarkably short. Scribbled on one lined page of the spiral-bound notebook in front of me is every known incident in Bridget’s life, marked out in blue and green ink on a timeline that starts with her birth (probably in about 1640, but no one knows for sure), proceeding through all three of her marriages, the births of her three children (only one lived long enough to have children of her own), her many quarrels with her husband and neighbors, her earlier arrests for witchcraft and theft, and the final accusation and court proceedings that brought her to the gallows tree. Technically speaking, these snippets are all that we know of the first person executed during the Salem Witch Trials. In the course of a half an hour’s work, I’ve reduced Bridget Bishop’s life to a series of facts on a piece of paper. But in this moment, sitting comfortably in the staff room at the House of the Seven Gables on the anniversary of Bridget’s death, I feel painfully close to her. I stare at the last item I’ve written on the timeline- “June 10, 1692: Executed by hanging and buried near Gallows Hill in Salem”– and wonder what it was like to prepare for such a death, what peace this turbulent woman was able to make with life and her Maker before she was thrown into eternity from the top of a ladder in front of a crowd of spectators. I wonder if she managed to jump from the ladder, ensuring the mercy of a broken neck, or if she suffered the pain and indignity of strangulation. What was it like to die that way, and to know that such an end was coming? Although Bridget Bishop consumes a good deal of my time, I usually avoid these questions about her death, partly because the reality is sickening to contemplate and partly because my job requires me to make myself much more familiar with Bridget’s life than her death. For the last two and a half years, I’ve played the roles of Bridget and four of the female witnesses who appeared against her in History Alive, Inc.’s production of Cry Innocent: The People vs. Bridget Bishop. Written by local playwright Mark Stevick, Cry Innocent is a 45-minute, interactive drama reenacting Bridget’s examination for witchcraft on April 19, 1692. The play has been running for over twenty years (it’s the longest-running production north of Boston), for audiences of every age group and from all over the world. With the aid of a stack of books and the University of Virginia’s digital Salem Witch Trials archives, my long-time colleague Keith and I decided to make a quick-reference timeline of Bridget’s life to share with our fellow actors this season. Cry Innocent cast members must not only master their lines and character, like any actor, but learn the history of Bridget’s life and the Salem Witch Trials intimately enough to answer any audience member’s question. An actor might have to do this in character, as a person from 17th century Salem, or as their 21stcentury self after a performance. Every scrap of useful knowledge must be shared among the cast and taught to new members. Most of the time we’ll never have a chance to convey many of these details to the public- but the knowledge lies in wait, rising to the surface as it’s needed. Most of what we know about Bridget Bishop’s life consists of a short string of information that historians have mined from written records: lists of marriages and baptisms, deeds, property inventories, and most especially court cases. These are primary sources, the usual places that historians go to do detective work about the lives of people who lived and died in New England 300 years ago. But although actors, like historians, spend much of their time bringing the written word to life, the Essex Quarterly Court Records are not an actor’s typical resource when developing a character. An actor’s text is the play they’re performing; the play is their primary source, and the actor must interpret that source by doing and speaking it, not primarily by writing or thinking about it as a historian would. Even as a Cry Innocent actor, tasked with interpreting history as accurately as possible, the text of the play that Mark Stevick has written to help bring that history to the public is the focus of my labor and my respect. One of an actor’s most crucial tasks when tackling a new role is to figure out what your character wants. What are they trying to achieve? The answer to this question is your motivation, the driving force that moves your character across the stage and through the world of the play. On my first day of rehearsal for Cry Innocent in September 2012, I scrawled Bridget Bishop’s motivation in the margin at the bottom of my script: Survive- get out of this court without being condemned.Actors usually aim to choose a strong motivation for their characters, and this remains my primary motivation whenever I play Bridget now, after more than two years in the role. There’s a sad irony in this, because of course surviving to walk out of the court a free woman is exactly what Bridget Bishop was unable to do in 1692; if she had succeeded, I wouldn’t spend the tourist season reenacting her examination for large audiences. Although the desire to survive drives my interpretation of Bridget Bishop through her examination to her ultimate release or imprisonment (the audience votes on her fate at the end of the performance), I constantly make smaller, more immediate interpretive choices every minute I’m onstage. Dramatic characters are constantly responding to the obstacles that the play throws in their path as they try to achieve their “wants,” just as real people both past and present do in their daily lives. Every situation in which a character finds herself onstage involves a choice of response. When the character you’re playing was a real person whose life story has been passed down to us, even in the most shadowy way, the actor’s task becomes more complex, especially in an educational piece like Cry Innocent, which emphasizes historical accuracy in its storytelling. Rather than inventing my character’s “inner world” from scratch in order to help me make choices onstage, I turn to the historical record to learn everything I can about Bridget Bishop- and then I figure out my own interpretation of those bits of information, revealing bit by bit the shape of the woman I bring before the audience. By the time I put on Bridget’s red bodice, black cap, and petticoats, I also put on her understanding of herself and the world. So who was she? Although much of the surviving evidence come from incidents in the court records that probably show Bridget at her worst, it’s clear that she was an assertive woman who was prone to quarreling, with a short fuse and an intimidating manner when roused. This is not unusual for an accused witch; most accused, in both New and Old England, were difficult individuals who had long, tense histories with their accusers. The stereotype of a witch painted the picture of an angry, resentful, and vengeful woman (or, occasionally, a man), who took out her anger on her neighbors and settled her scores through harmful magic. Bridget frequently responded to her neighbors’ gossip or suspicions of her witchcraft with personal confrontations and stinging verbal assaults that occasionally spilled over into physical violence. Although this behavior confirmed her neighbors’ darkest suspicions, it was not entirely unreasonable: calling a woman a witch was a direct and serious assault on her good name and reputation, and Bridget’s spiky personality may have been particularly defensive to slurs on her personal honor. But Bridget was capable of laying on the oil when she thought it necessary. Samuel and Sarah Shattuck, the Quaker dyers who accused Bridget of bewitching their young son, told the court that she visited their house with “a smooth flattering manner.” This manner also appears in the testimony of William Stacey, who testified that in 1678 when he “was Visited with the Small Pox, then Bridget Bishop did give him a Visitt, and withall Professed a great Love for this Deponant in his Affliction. more then ordinary.” In 1687-88 Bridget and her daughter were accused of stealing a mill brass from William Stacey’s father Thomas, who ran a gristmill in Salem. Thomas Stacey told the court that Bridget confessed to him in private and went down on her knees to apologize, begging his forgiveness. Bridget later stringently denied that this had ever happened. These accounts suggest a personality that could be unctuous and conciliatory, even gracious. This contrasts strongly with Bridget’s aggressive tendencies, but both sides of her personality were clearly expressed in dramatic displays of emotion. This is certainly a gift for any actor playing Bridget, but to her neighbors this trait may have felt dangerous and unpredictable. So, I know that I’m playing a volatile, forceful personality, but what lay underneath all that sharp-tongued fury and opportunistic charm? Bridget’s marital history provides clues, telling a tale of deep loss, struggle, and possibly abuse. Bridget was married three times, and we know nothing of her personal relationship with Samuel Wasselbee, who she married in 1660 in the cathedral city of Norwich, England. Samuel was dead by the time their second baby was born in Boston in 1665, and both children seem to have died in infancy. By the time she was about 25, Bridget was uprooted to a new continent and lost her husband and both her children. Surviving as a single woman in colonial America was difficult, and this may be why Bridget married Thomas Oliver in July 1666; he was about twice her age, with grown children older than Bridget. Perhaps the age difference and Oliver’s own Norwich origins seemed protective or comforting to Bridget, or perhaps there was a genuine spark driven by wilful personalities. Within a year, she gave birth to the only one of her children who would live to grow up: her daughter, Christian. Bridget may have looked forward hopefully to ten or fifteen more childbearing years to build the large family to which most women in early New England aspired. But the marriage quickly went south: by 1670, the Olivers were fined in court for their quarrelsome and violent behavior towards one another, and Bridget bore Thomas Oliver no more children. What on earth was going on? There may have been many reasons why Bridget and Thomas Oliver were ill-matched, such as personality clashes or money troubles. But even so, it was exceptionally unusual for any marriage in colonial Massachusetts to produce only one child over the course of thirteen years. Perhaps Thomas Oliver wasn’t keen to start a new family with his much-younger spouse, or perhaps he was suffering from some sexual dysfunction as he aged. Either situation might bring grief and frustration to a woman in the prime of life, living in a culture that valued both a happy sexual relationship between husband and wife and female fertility. To me as a 21stcentury woman, bearing one child might seem preferable to the endless cycle of pregnancy, childbirth, and nursing that most colonial women endured as they grew families of 5-10 or more children, risking death with each pregnancy. But to Bridget, used to seeing motherhood as a state of spiritual fulfilment, power and honor for women, this modern outlook would appear bizarre. Offspring were often the only legacy a woman presumed to leave behind, and many were lost in infancy, as Bridget could attest. A near-childless marriage to a much older man may have led to deep discontent and bitterness. Another probable aspect of Bridget’s personality may help to explain the violent fights between her and Thomas Oliver. Five of Bridget’s accusers were younger men who said Bridget sent out her spectre to make threatening nighttime visits to their bedrooms, striking or strangling them while sitting on top of them. William Stacey said Bridget professed “great love” for him in person, “more then ordinary, at which this Deponant admired.” By admired, Stacey meant “wondered at”- and so he might, when a married woman who was not his kin marked him out for special attention in his weakened state (Stacey was probably bedridden at the time). Most of these men were in their twenties at the time of the supposed vision, while Bridget was then in her late thirties or forties. It’s difficult to escape the implication that Bridget had some obvious sexual charisma that she didn’t bother to hide. Bridget’s allure may have seemed especially threatening in an older woman, notably when she was widowed in the early 1680s (the “lusty widow” was a well-known female stereotype, whether or not it justly applied to Bridget). For the aging Thomas Oliver, a much-younger and conspicuously attractive wife may have been a source of endless anxiety and insecurity whether she actually strayed from him or not. Perhaps Bridget really did flirt with younger men out of frustration or loneliness. In any case, it may have been her more alluring qualities that induced the sawyer Edward Bishop to marry Bridget in about 1684, when she was an aging widow with a reputation for witchcraft (she was arrested in 1680, a year after Oliver’s death, but was either acquitted or released for lack of evidence). Or perhaps it was her good business sense: Bridget was named executrix when Oliver died intestate, and successfully settled her late unlamented husband’s many debts. Bridget sold a chunk of land near her house on present-day Church Street to the schoolmaster, signing her name with a very neat, clear “x.” This tells us that Bridget could not write her name and may have been illiterate. It’s also possible that she could read and do arithmetic, as these skills were often taught separately, and women in early New England were much more likely to be able to read than write. 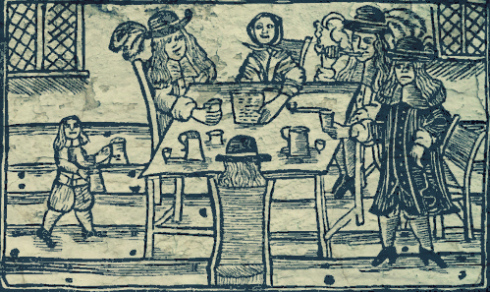 Bridget’s accusers describe her as keeping pigs and chickens, making cider and owning and orchard and these may well have been her source of support in the early 1680s. After Bridget’s marriage to Edward, she quarrelled with the Bly family, to whom he had sold a sow, “because she could not have the mony or vallue agreed for, payd unto her.” Perhaps she had grown used to running her own business affairs and had trouble re-adjusting to married life. Bridget gave the Blys a piece of her mind concerning the transaction, and they later accused her of “overlooking” the sow. The last time Bridget appeared in the public records before 1692 was when the Staceys accused her of stealing their mill brass in 1688, and the apparent absence of turmoil in Bridget’s life might imply that she was leading a more peaceful existence as a wife, mother, and grandmother. With the exception of the afflicted girls’ accusations, the incidents brought against Bridget in 1692 were all dated before 1688; if the accusations of witchcraft had not escaped from Salem Village into Salem Town, perhaps Bridget would have lived out her life in relative peace. But by April 16, the afflicted girls were naming Bridget as one of their spectral tormentors. On April 18, she was arrested. And this is where I enter. When I walk onstage as Bridget, hands manacled in front of me, I am no longer a twenty-six-year-old actor but a woman of approximately fifty-two, aggressive in my opinions, quick-tempered, proud and defensive of my personal reputation, embittered by loss and an abusive marriage, comforted by the survival of my one daughter and granddaughter. I have little formal education but capable hands and some business sense. I have plenty of grit but not much patience with those who cross me. I’m aware that I still have a certain effect on men, and am not entirely sorry for it. I’m prone to dramatic displays of personal feeling and am unwilling to back down when cornered- but I’m also willing to lie and flatter if I think I need to. I am a survivor by nature, but this situation is unlike any I’ve face before- and I may or may not be able to fight or negotiate my way out of it; in the moment I walk onstage, I don’t know what’s going to happen. Up until 1692, Bridget Bishop had successfully survived more than thirty years of adversity and had arrived in middle age embittered and difficult, but with the blessings of marriage to a prosperous husband and descendants. She was a tough personality who had escaped legal problems twice before, and may have done so on this occasion if she had not so steadfastly maintained her innocence. Ironically, Bridget may have refused to confess in an attempt to save herself, since most confessing New England witches before Salem were indeed hanged. “I am not come here to say I am a witch to take away my life,” she told John Hathorne during her examination. To her credit, she never stopped asserting her innocence even when she was convicted, a form of stubborn defiance that fits with her generally assertive personality. Bridget’s attitude in the courtroom appears as a blend of defiance and improvisatory excuses, including some obvious lies. Speaking these words during a performance of Cry Innocent demands that the actor remain “in the moment,” responding to the judge’s questions and witnesses’ accusations as if they’re really fresh, infuriating, and frightening even though I may well be discovered reciting the play in my sleep one of these days. Bridget’s voice can help with this because her statements are brief, forceful, and to the point: “I do tell the truth, I never hurt these persons.” “I am innocent of a Witch.” “I am clear: if I were any such person you should know it.” The greater challenge is to personify her complicated mix of anger, desperation, bitterness, shrewdness, loss, maternal experience, sexual allure, and sharp-tongued snark. Bridget’s costume for Cry Innocent is based on descriptions of her attire in the court records. Several male accusers detail her clothing, including the famous bodice of red paragon (a wool or wool-silk blend), black cap, and petticoat with a strip of contrasting color at the bottom. It’s probably about the time I exit the dressing room for a day’s work that I start to move not as myself but as Bridget. My interpretation of Bridget moves with a broad, swaying walk, both sensually feminine and aggressive at the same time, enforced by wide ankle-length skirts and a corseted torso. My chin lifts. My jaw juts slightly. My gaze sharpens. A smirk might start to gather at one corner of my mouth, and I walk out onto the streets of Salem, ready to deal with any suspicious neighbor or lost tourist who stumbles across my path. I live in Salem, not all that far from where Bridget herself lived for more than twenty years on the corner of Church and Washington Streets, equally close to the sites of the church she attended, the Town House where she was tried, and the jail where she was imprisoned. I walk streets utterly transformed since her time, yet laid out in a pattern that is remarkably unchanged, populated in part by descendants of people who knew her. I can enter houses she knew and shop in businesses built on her accusers’ property. I can wander the area around Gallows Hill, wondering where exactly she was executed and where her remains lie today. But for all my research and rumination, do I really know her? Any attempt to really get to know Bridget Bishop is frustrated by the passage of three centuries and the pile of “ifs” and “maybes” that defeat any historian’s or actor’s attempts to hammer down the reality of the time. In a sense, this is a gift: it allows both actors and historians room to interpret, and to answer a “what if” with a choice of their own. History is slippery, as are individuals, and some parts of Bridget will always slip through our fingers to rest with her in some unknown stretch of ground on Gallows Hill. Why did she marry Thomas Oliver? Did she flirt with any of the young men who accused her? Did she really hide malevolent “poppets” in her cellar walls to work black magic, as the Bly family later testified? To these and a thousand other questions, I can only answer as Bridget herself did over and over again in the courtroom: I know nothing of it. “Cry Innocent: The People vs. Bridget Bishop” opens for the 2015 season on June 20 at Old Town Hall and is free for Salem residents. Further information at www.cryinnocentsalem.com. In order to ensure that this post remains readable, I have not included citations. I include a list of sources below and am happy to ask specific questions. For an annotated account of Bridget’s life, please see Keith W. Trickett’s post on this blog on June 10, 2015. Marilynne K. Roach, Six Women of Salem: The Untold Story of the Accused and their Accusers in the Salem Witch Trials (Boston, MA: DaCapo Press, 2013). George Lincoln Burr, Narratives of the New England Witchcraft Cases (Mineola, New York: Dover Publications, 2002). John Putnam Demos, Entertaining Satan: Witchcraft and the Culture of Early New England (New York: Oxford University Press, 1982). Bernard Rosenthal, Salem Story: Reading the Witch Trials of 1692 New York: Cambridge University Press, 1993). Laurel Thatcher Ulrich, Good Wives: Image and Reality in the Lives of Women in Northern New England, 1650-1750 (New York: Vintage Books, 1982).